Section header--this is only visible if you are logged in. If you don't see anything below the red title bar, please contact [email protected] as soon as possible. 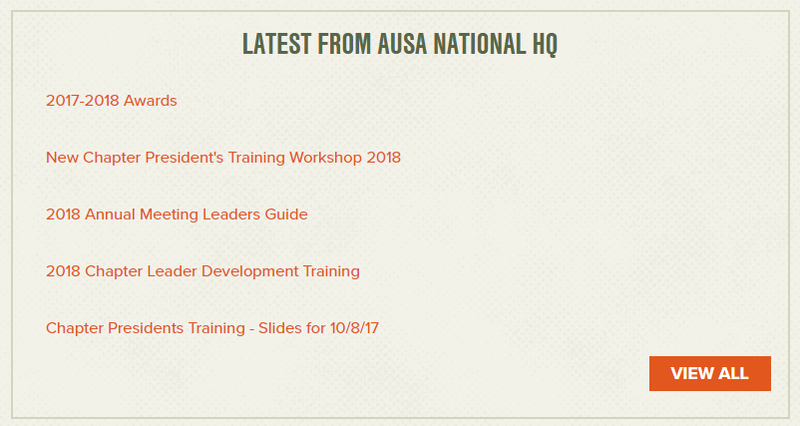 For latest information from National on monthly membership, notices of awards, Training, Annual Meeting announcements, etc. Section for chapter activity reports—to submit and view chapter activity reports. 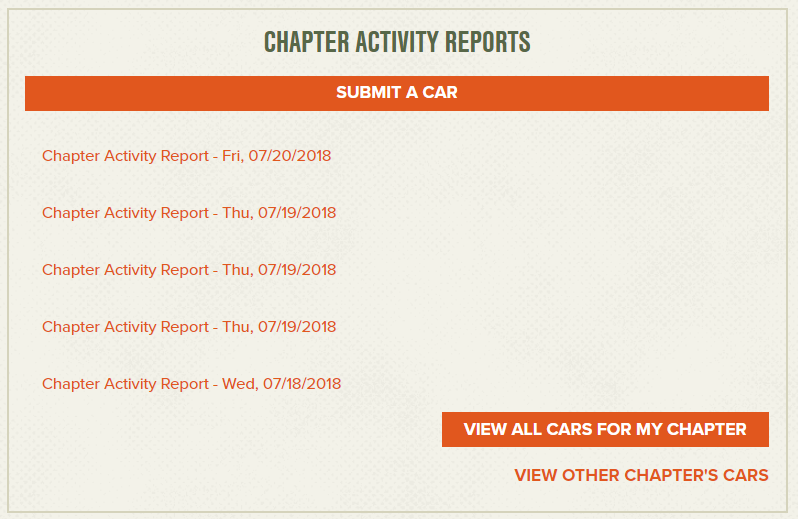 Click here to find out more about chapter activity reports. Link to files for chapter membership information, statistics supplies, etc. Click here to find out more about each link. 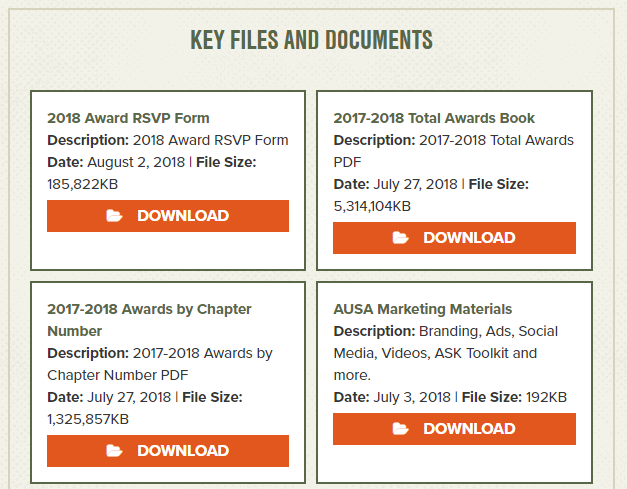 Source for documents such as Chapter Operations Manual, ASK Program, business card templates, etc.